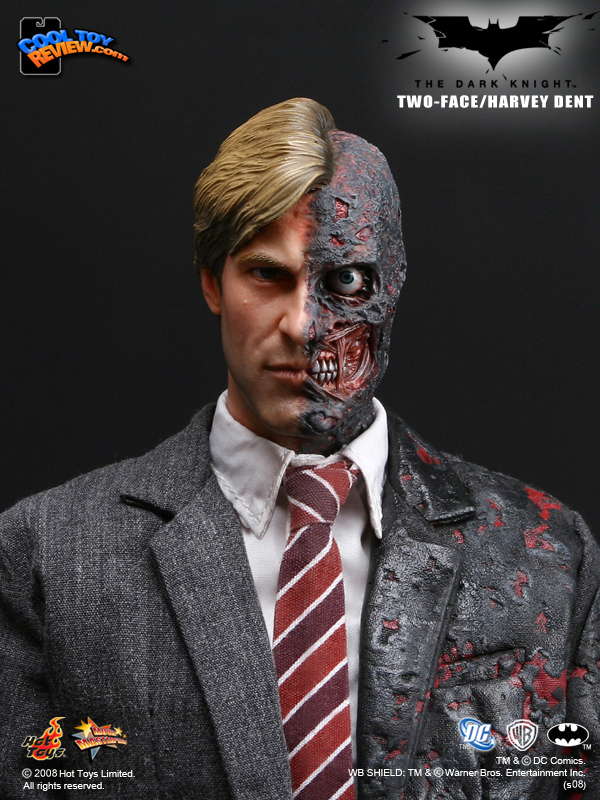 Hot Toys is proud to announce the seventh collectibles from the Dark Knight movie series 1/6th scale TWO-FACE/ Harvey Dent collectible figure. Thanks to cooltoyreview for that info, pic & link. More pics found in the link. yup, one sweet looking figure thats for sure. the best thing about hot toys is that they show figs that are close to production in their promo pics, so thats exciting.